March is halfway over, but I’m totally not ready for Spring! Speaking of Spring, we are celebrating our anniversary for a whole week, March 18-23, with specials, new products, and menu changes. I was a little leery about changing our menu and increasing prices, but with our quality services and products, I can’t afford not to. I’ve noticed salons in the area are beginning to offer better products, offering more choices to clients, but they always fall short on the customer service part. I always remind my techs that customer satisfaction comes from good communication. For instance, a short consultation can really help the client and the nail tech understand each other. We are lucky to have clients coming back faithfully every two weeks, so it always fun at work, and clients felt more at ease with us. In order to be a successful nail tech, you must fall in love with what you do. 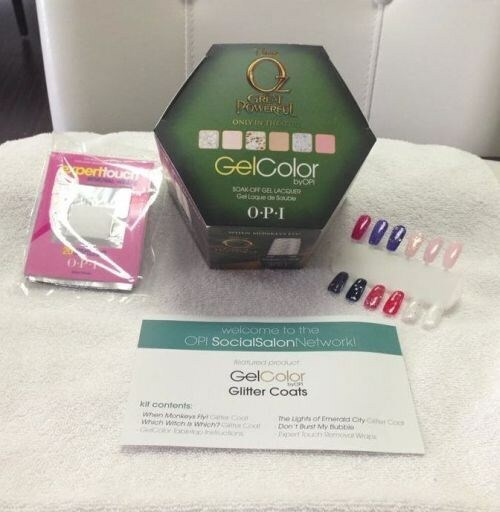 I just received my “OZ-GelColor from OPI." This is so exciting and we all working hard to come up with some new ideas for this collection. Being able to stay current with all the new products makes my job so much more fun, and I always love to challenge my techs, so let's see what can they come up with this. Also this month we have a new tech in training. So far she is learning very quickly and catching up fast, I think she will be a great addition to our family at Polished. On the other hand, I am cutting back my hours to get ready for my nail school to open in April. Clients always ask me: How do you find time to do all this? My answer: multi-tasking. It is true, I always do two or three things at once, but because I have a great staff and a supportive family, we always work together and share our success.